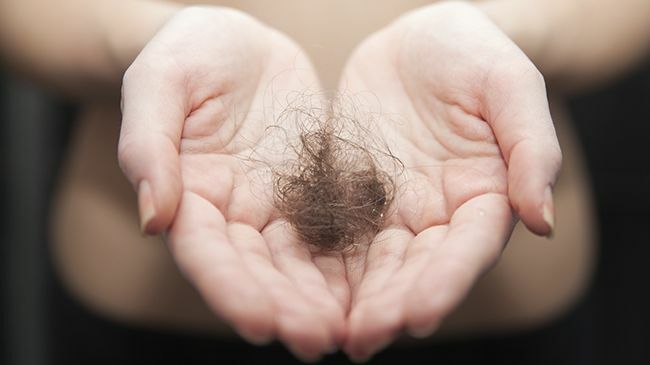 Is Your Medicine Causing Hair Loss? The full list is extensive and is not limited to just these. First and foremost, it is important to acknowledge that the illness alone can have implications for hair growth and loss. According to Dr. Manny of Fox News, “Hair cells are some of the fastest growing cells in the body. So when your body is under stress from illness, hair cells can shut down to redirect the energy elsewhere to help heal what ails you.” Illness can be caused from a disruption of balance within the body. Medicine attempts to counteract the imbalance to bring your body back into a natural homeostasis. After the drug has ceased being used, within six months, more or less, your hair growth patterns will most likely resume, regardless of how long the drug has been taken. Morrow tells us, “Regarding care, there is no way to counteract the drug’s affects. You can do things to encourage growth to keep the integrity of the hair, but you will not be able to cease the side effects." Hair growth patterns are as fragile as the hair itself. Minimal imbalances in the body could cause massive change in your hair. Do your research when taking any drug. If illness is not present in your life, be sure to take great care of yourself. Minimize stress, get rest, and consume a healthy diet with plenty of water for a balanced body with minimal hair loss. Disclaimer: This article is not meant to discourage anyone from following their doctor’s orders. Your health should always take precedence over your appearance.